Notes: Native biennial to short-lived perennial; grows to about 3 feet in height. 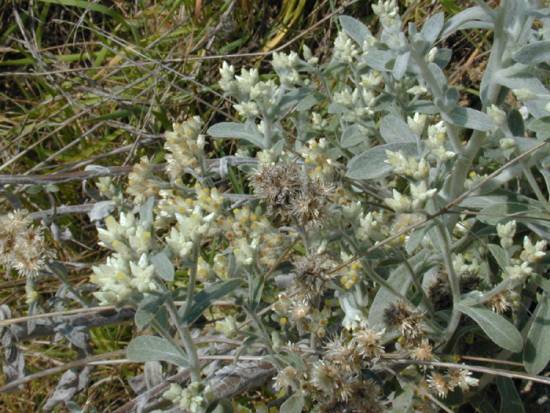 Much of the plant is covered with woolly white hair, including both sides of the leaves. The latter are directly attached to the stems and are tapered toward the base, with the tips pointed to rounded. The clustered flower heads are surrounded by papery bracts. 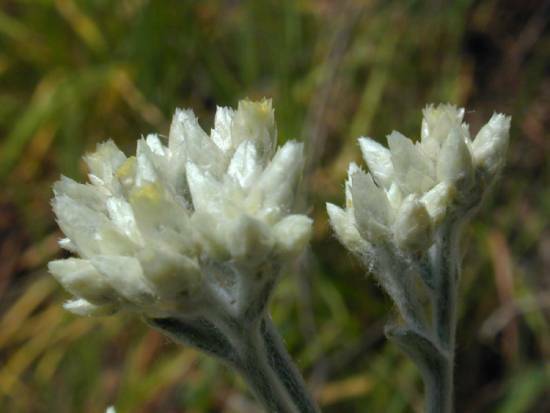 This species is unscented, as opposed to the green everlasting.